"Drink Urine" Statement By Senior Teacher: A Misunderstood Joke? Yesterday, a purported letter of complaint went viral on various social media platforms and caused an uproar among the public. The letter was regarding a senior teacher in Sungai Petani, Kedah who allegedly told non-Muslim students during an assembly yesterday—which is a school day in some states including Kedah—to drink water in the washroom. 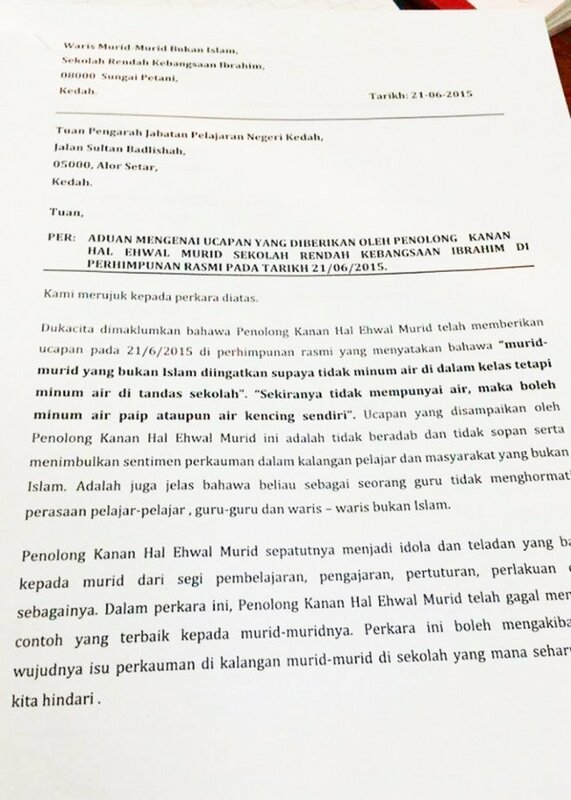 The letter, which was written by a group called Waris Murid-Murid Bukan Islam in Bahasa Malaysia, translates to “The speech by the senior assistant for student affairs is uncivilised and uncouth, and could stoke racial sentiments among non-Muslim students and community.” It also describes that the teacher “has no respect for the feelings of non-Muslim students, teachers, and next-of-kin”. Many people have slammed the teacher for being disrespectful towards non-Muslim students. 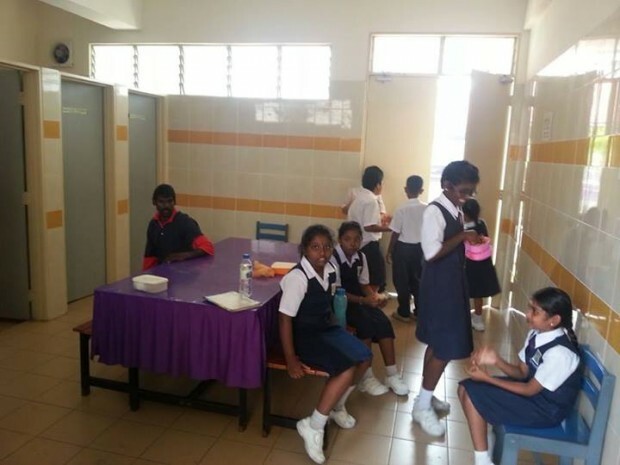 Facebook user Anantheswaran Lechmiannandan stated that similar things always happen when it comes to the fasting month, which reminds me of an incident that happened in 2013 whereby students were ‘forced’ to eat meals in the washroom by the school’s headmaster during Ramadan. Some Internet user were also being sacarstic when addressing the issue. “You know, the first few days of fasting are quite hard – people get cranky when they’re hungry,” said Gophur on an article published by Malaysiakini. Was It Or Was It Not A Joke? While a lot of netizens are being disgusted by the contents of the letter, it seems that there are some recent updates to the situation. He claim that the senior teacher was only reminding Muslim students about the fast and for non-Muslim students to avoid drinking in front of Muslim students. Apparently, the teacher said students should ask for permission before drinking water outside the classrooms and joked “don’t drink your own urine”. He also said that students can consume tap water in the toilets. “The speech and message was misunderstood by some of the students and became an issue. A police report has been done by the parents,” he said in a statement. Meanwhile, an investigation is still being carried out by the Kedah Education Department. Deputy minister P. Kamalanathan of the Education Ministry has stressed in a Facebook post that there is no such policy against non-Muslim students consuming water during Ramadan and those responsible for breaching this will be dealt with seriously. It isn’t known for certain yet if there is any truth to the letter, but one thing for sure is that the real meaning and importance of Ramadan has absolutely nothing to do with shaming non-Muslims. The holy month of Ramadan is so much more than that; and both Muslims and non-Muslims should be tolerant to preserve its worth.